NEED A CAR BATTERY ON THE GOLD COAST? 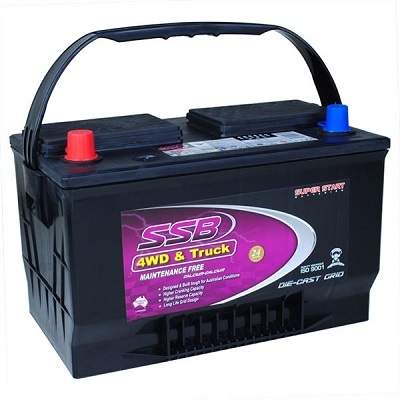 Battery Now deliver car, truck and 4×4 batteries anywhere in the Gold Coast 7 days. Our specialists can even install your new battery on the spot, ensuring that your cars valuable data is retained. Every Battery Now technician has the skill and experience needed to install your vehicle battery for years of trouble free motoring. Should you experience problems with your new battery, you can rest assured knowing that all batteries stocked and provided by Battery Now include industry leading private and commercial warranties. Looking for an affordable solution to your battery problems on the Gold Coast? The Battery Now team are available 7 days a week to deliver and install premium vehicle batteries anywhere on the Gold Coast at prices more economical than most road assist clubs and vehicle dealerships. For superior batteries, unmatched warranties and great prices, contact the Battery Now team today. Battery Now provide a complete roadside breakdown service throughout Gold Coast, our technicians can supply and fit batteries for passenger cars, 4WD’s, SUV’s, trucks, tractors, marine and motorcycles to name a few – all at realistic prices and delivered rapidly. Batteries tend to fail at the worst possible times, like on a Sunday when no one is available. Luckily, Battery Now is available 7 days a week to deliver and install auto batteries no matter where you are on the Gold Coast. All of our premium batteries come with unmatched private and commercial use warranties and are installed by a fully qualified, expert Battery Now technician. For an affordable Gold Coast battery service you can rely on, call Battery Now. When you call Battery Now with car battery issues, you can be sure you’re dealing with a local Gold Coast technician. Our battery prices are fixed and competitive, no additional fees or sneaky costs – just a great price and a great service. You also won’t be caught out with delivery fees or fitting costs! We have service vehicles covering all suburbs on the Gold Coast and surrounds, all technicians are skilled professional mechanics. No matter the make or model of your car, from European manufacturers, Japanese or Australian we have the expertise to diagnose and provide affordable solutions roadside, your home or work. Our specialised service vehicles and technicians carry a complete range of high performance and premium batteries such as Varta, Optima, Exide, Century Batteries, Delkor Batteries, Odyssey Batteries and Motobatt suitable for all cars, trucks, motorbikes and marine. Battery Now Gold Coast supplies and fits our range of dependable premium batteries anywhere in Gold Coast and surrounds 24 hours 7 days in all weather conditions, you can rest assured Battery Now service delivers rapid roadside breakdown and emergency services with you as priority. We deliver and fit batteries on the Gold Coast and surrounds 7 days from as little as $149, organising your new car battery is just a quick call and our nearest mobile service vehicle is dispatched to your location. All our mobile car battery services carry mobile EFTPOS for your convenience. Battery Now are the best of the best when it comes to delivering and installing batteries on the Gold Coast. Not only are we less expensive than most roadside assist clubs and dealerships, our technicians are more skilled and with Battery Now there’s no membership required, you only pay when you need help. Battery Now are the reliable and affordable solution to your battery problems, give us a call today or book your service. For all your car, boat, truck, 4×4, bus, motorcycle and specialised battery needs, call Battery Now today! When your car is experiencing battery problems call your local Gold Coast battery replacement service any time 7 days for fast and affordable battery services that come to you. We only use high cranking reliable batteries to ensure your car starts first time every time for years to come. All our replacement car, 4×4 and commercial automotive batteries are backed by a nationwide warranty for your peace of mind. When your battery fails, you typically can’t get to a store to buy a new battery. With Battery Now, you don’t have to as we come to you when you need us. No stress or fuss, the entire process is taken care of in one call – delivery, memory backed up, installation. For a trouble free experience, buy your new car battery today. What’s more, changing a car battery is no longer a simple task with modern vehicles, the risks for damage to your vehicle and hefty repair bills means it’s best to leave it to the experts! Battery Now Gold Coast provides free delivery and installation on all car and truck batteries, just a flat fixed price mobile battery service that comes to you at home, work or roadside 7 days. 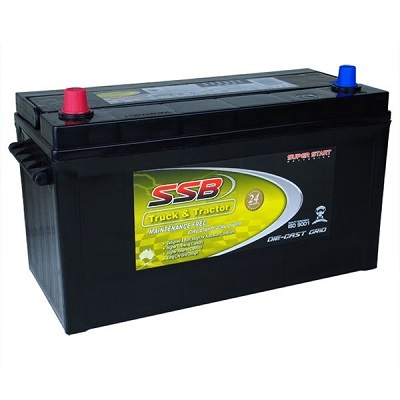 Small 4 cylinder cars to large 4WDs, we have the battery replacement for you. One call and our local technician will be on-site in around 30 minutes. When you buy online, your battery is delivered within the hour in most cases or alternatively give us a call and book a replacement battery service any time, we come to you from North Gold Coast through to South Gold Coast! From automotive batteries, marine, AGM, deep cycle or gel to truck and stop/start batteries – our mobile service vans carry a huge range onboard. Organise the battery you need at a great price and delivered and installed with our speedy service today from a trusted battery supplier! Do you deliver to marinas or the boat ramp? Absolutely, from 6am to 10pm 7 days. 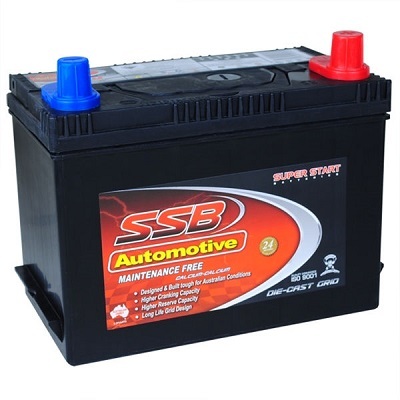 We carry premium SSB stop/start batteries with 42 months warranty. Do I need membership or any joining fee? No, nothing of the sort, just a fixed price on demand service. Do you come to my house or just roadside? We come to you anywhere on the Gold Coast with a new auto battery! Do you only carry car batteries? We supply and fit truck, 4WD, golf cart, scooter, marine and deep cycle batteries.